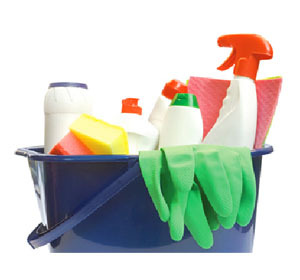 This week, the Business Services Association (BSA) have published their ‘Responsible Cleaner Scheme’ (RCS), which aims to bring together contract cleaning companies to protect and promote the welfare and development of their employees. The scheme has been designed to make sure that the experience and capabilities of these cleaners are recognised and developed; and to promote the professionalisation of the industry itself. To help achieve these goals RCS members have signed up to a series of commitments, that focus on the ideas of valuing, recognising and rewarding the hard work and dedication of RCS members’ employees. These commitments include the provision of non-discriminatory, equal opportunities within the workforce, the delivery of appropriate health and safety standards, and appropriate pay and benefits systems for all employees. So far, 16 companies, including OCS, Sodexo and ISS UK, have signed up to the RCS, representing more than 130,000 employees. Mark Fox, Chief Executive of the BSA, said: “This is a good commitment by BSA members involved in the cleaning industry. It represents the seriousness with which they take good practice and professional development. Martyn Freeman, Managing Director of Mitie’s Facilities Management business, Chairman of the BSA Cleaning Group, added: “It is great that the industry has come together in this way, demonstrating that it values its employees and is dedicated to professionalising further the industry. I am really proud that businesses are working together to help achieve these goals and it is a sign of the direction in which the cleaning industry is heading. “In large part, the commitments represent existing good practice – now set out clearly so that employees, clients and wider stakeholders can see the principles which RCS members will abide by. This is a great scheme for the industry and everyone involved in it”.